What do LaVar Burton, Copyblogger and this blog all have in common? We’re all rocking the Thesis theme (and you’d better believe that’s an affiliate link). 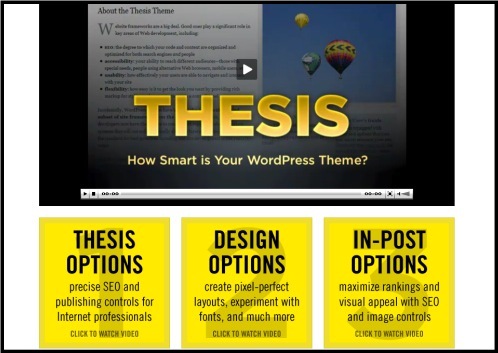 Over the last year, Thesis has taken the WordPress community by storm, quickly becoming the premium theme of choice of many top bloggers. While it certainly doesn’t hurt to have people like Darren Rowse (TwiTip), Brian Clark (Copyblogger), Matt Cutts (Google egineer), and Chris Brogan using and promoting your theme. But, if you know anything about these bloggers (or myself for that matter) you kow they won’t promote a product that they don’t strongly believe in. So what is it about Thesis that makes it so special? 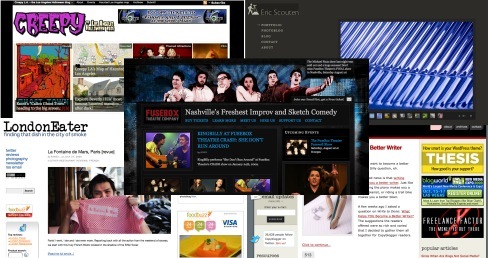 We’ll take a look in our second installment of WordPress Theme Reviews. The “out of the box” Thesis design is one of the most clean & crisp designs you’ll find. Thesis "out of the box"
It’s minimalistic look and feel assures your content is always the center of attention. There’s no denying that WooThemes’ 36 different themes are a more diverse offering out of the box. Their image heavy designs are a stark contrast to Thesis’ sleek default design. However, Thesis incorporates the site’s title and description into the design so you don’t have to create an image for each new site as you do with Woo. 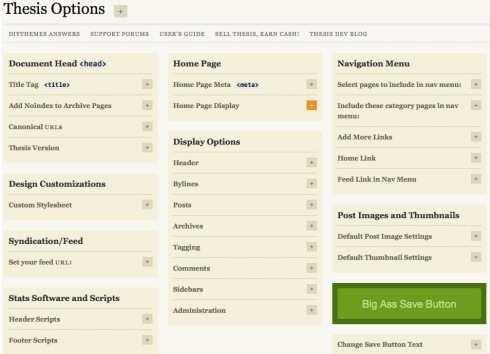 The flexibility of Thesis is where this theme out-classes every other theme on the market. With just a click of the mouse you can go from a 2 to 3 column design and move those columns to the right or left sidebars. 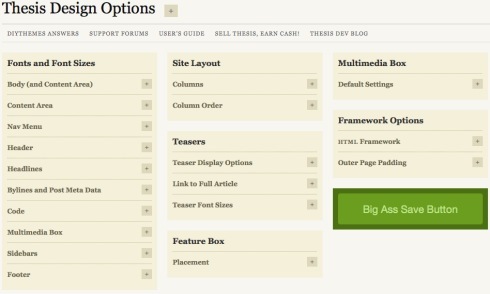 Another built in option allows you to use featured posts, post teasers, or a mixture of the two. WPblogger for example doesn’t make use of the teaser function. MLBrumorblog on the other hand, relies solely on teasers. And, as you can see from the screen shots below, those are just a couple of the plethora of options Thesis gives you in the theme dashboard. When you begin to consider the added flexibility Thesis offers through its use of custom.css and custom_functions.php files, the possibilities become nearly endless. Want to add one of those fancy sliders to your home page that WooThemes uses in several of their themes? You can, as proven by Michael Gray on his SEO blog. 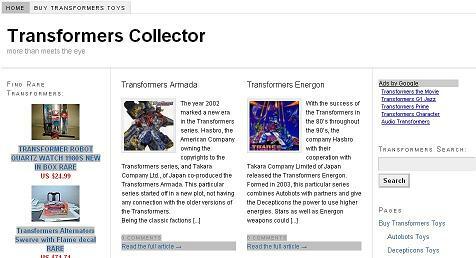 Would you like to utilize the 3 column widgetized footers that seem to be all the rage with blogs over the last year or so? Alex Frasier does just that on his young entrepreneur blog. Basically, you can replicate practically any look or feature of other themes utilizing the Thesis framework. If you have any doubt about the utterly incredible flexibility of this theme, take a stroll through their showcase and check out the amazing diversity. In all honesty, since I’ve purchased a developer license of Thesis, the only reason I’ve found to buy other themes has been this series of theme review posts. While Thesis does have a plethora of options to figure out, they are, for the most part, self explanatory. Now, there is a bit of a learning curve once you get into making serious customizations. But, you’re not really learning Thesis per-say, you’re actually learning CSS and PHP to use within the Thesis framework. What you learn while customizing your site, is applicable to any site built with CSS. And of course, if you already know CSS and/or PHP you’ll probably find Thesis a breeze to use. For those of us who aren’t CSS inclined, the free Thesis OpenHook plugin is immensely helpful and, among other things, allows you to make customizations within the WordPress dashboard. Since nearly all the customizations take place in either the custom.css or custom_functions.php file, swapping, sharing, and testing code is incredibly easy. And, if you decide you don’t want to take the time to learn, there are a growing number of skins (ready made custom.css and custom_functions.php files) available that are easily applied to your Thesis installation to customize the design. Customer support is yet another area where Thesis checks in at the head of the class. The theme of course, comes with a manual to get you started and there’s a very active support forum where every one from beginner to expert congregates to ask questions and help with any issues that you may encounter. And, if that’s not enough to quench your appetite for support, there are an increasing number of Thesis tutorials that walk you step by step through all sorts of customizations. The tutorials stretch from how to add a header image, to how to create a Gawker type carousel, to using different ads for pages of different topics. If there’s something cool you want to do with Thesis, chances are there’s already a tutorial for it. And if not, I’m willing to bet someone in the forum can show you how it’s done. I’ve used countless themes in my blogging career, and even helped design and sell one, and Thesis has an answer for almost every issue I’d encountered with any other theme. The flexibility is unparalleled and the community surrounding is both knowledgeable and helpful. The price tag isn’t cheap ($87 for personal use, $164 for developer) but there are no monthly fees to remain a member and updates are free. Look, if it seems like I am falling all over myself to say good things about Thesis, that’s because I am. It is, quite simply, the best WordPress theme available, coming in at an impressive 9 out of 10 stars. Nice Review. The other great thing about thesis is it gives you a consistent framework to base all of your future projects off of. You better believe that this will help your productivity. Nick, that’s another very good point. Rather than having to bounce around from theme to theme depending on your design goals, you can use the same single framework to work from. Or if you settle on a design you like, you can use it across several of your sites with only minimal customizations. Great review, I have used thesis on many sites and I think the SEO in it is well worth it! Great review. I’ve been contemplating buying this theme to use as a framework for a major project and you’ve provided a useful insight. Thank you. The WordPress/Thesis combo comes awfully close to being the new generic standard for cool websites. I don’t know why anyone would use anything else, but I’m glad they don’t, because then something ELSE would have to come along to break the monotony. I just wish there were a way to invest in Chris Pearson. 🙂 Me likey dat boy! Smart, workaholic, young & fearless. I build websites. Thesis is all I ever want to use. Mike, I’m glad you enjoyed the review & yes it does have some nice built in SEO functionality as well. Great review, Ben…you’ve captured everything about Thesis that brought me to it in the first place. While I only have a single-user license right now, I can definitely see myself upgrading to the dev license, not because I’m a developer, but with Thesis, I very easily could be! I just changed my blog theme to Thesis and I must say it’s one of the best wordpress theme out there. I am technically challenged but changed my theme to thesis. best thing i ever did as it gave me complete control over my blog. i did not have to keep asking a techie to do this and that. It seriously rocks. It makes my life easier. Thanx for the info; based on this & other info, I’ll go w/either Thesis or Headway to rebuild my bands’ site. Ive installed this skin on Thesis 1.8 and having a little trouble. Does this skin work ok with it? Something is strange is happening, Ive turned off the Feature box, but for some reason it sometimes it still shows images in the sidebar. Sometimes it will show an image from the default random images folder, or it will attempt to display an image from the the post.